It is not very often that one hears about a hardware startup from Russia that is planning to take over the world. A few might know a story of IPG Photonics that revolutionized fiber-optic laser technology. This year it might well be the Yota Phone. 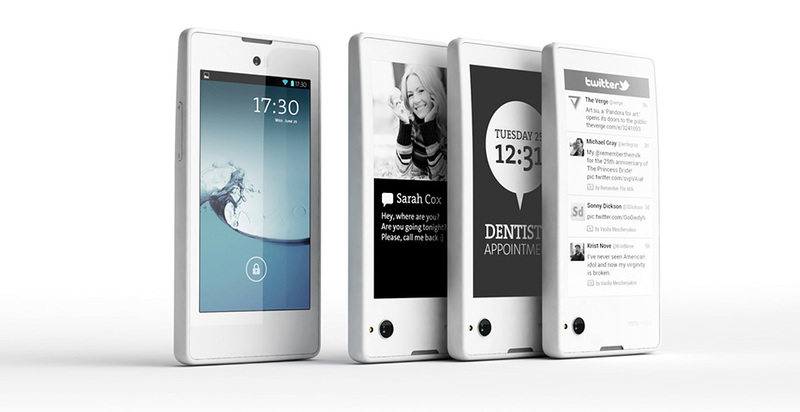 The new device, announced at Mobile World Congress by Yota Devices today and reviewed by TechCrunch, look sleek. The main difference of Yota Phone compared to other smart phones is the availability of a second, e-ink screen on the other side of the phone. This innovation coupled with a short battery life issues all smartphones are known for, might just create room on this busy market segment. The use cases for Yota Phones are many – from reading a book to keeping essential information at the back of the phone in case the battery runs low (think travel information, a map or contact details). Other than that, it is an Android phone that will be available at the price 10 to 15 percent lower than the premium Android phones hopefully by the end of this year. The SDK is open as of today to enable developers create dual-screen apps. Yota is a trademark of Skartel LLC. In 2007 the company was founded, and its original business was a mobile broadband service provider. In 2008 the company launched WiMax standard network and implemented it across many Russian cities, and later LTE network. Skartel LLC was bought out by Megafon, Russian mobile telecom operator in October 2013.